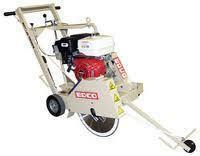 Turn cutting concrete or asphalt into an easy job!! Just push and align the blade and the machine will do the work for you!! Call and reserve today! !